WASHINGTON D. C. -- The Democratic party has chosen the mayor of San Antonio to deliver the keynote address at the Democratic National Convention. The party says Mayor Julian Castro will be the first Hispanic keynote speaker at the Democratic convention. President Barack Obama needs significant support from Hispanic voters, particularly in states like Florida, Colorado and Nevada, if he is to defeat Republican rival Mitt Romney. Obama delivered the Democratic keynote address during the party's 2004 convention, a speech that thrust him into the national political spotlight. 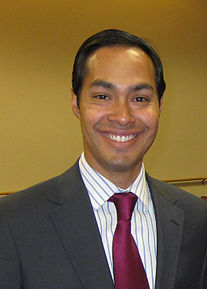 Castro will speak at the convention on its opening night, Sept. 4. First lady Michelle Obama will also speak the same night.